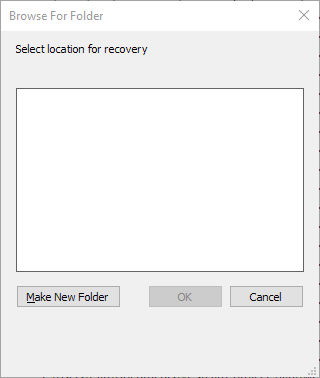 Could I ask someone to point me in the right direction for getting me to be able to select a recovery destination? I forgot to say look at MrRon's post in the first link. And what happens if you press Make New Folder?